It is probably no surprise but I am a fan of garlic. 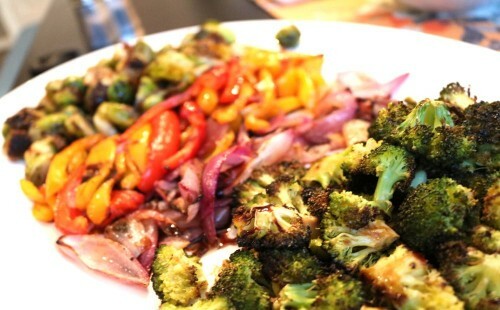 I use it in almost all my savory dishes…not almost really in all my savory dishes. I love it in all forms, but Roasted is my MOST favorite!! Years a go, I mean like many years ago (17 or 18 probably) I went to a super fun pizza place with a dear friend. I was a little late and when I arrived there was the most interesting appetizer on the table. It was 2 bulbs of garlic that looked almost burnt and some soft cheese and crostini’s. I was immediately intrigued, but also a little hesitant. I was not so adventurous when it came to food back then…as a matter of fact I was not one to try new things at all…EVER. I was assured though that I would love this, just to try it. I was so glad I stepped out of my box that night. 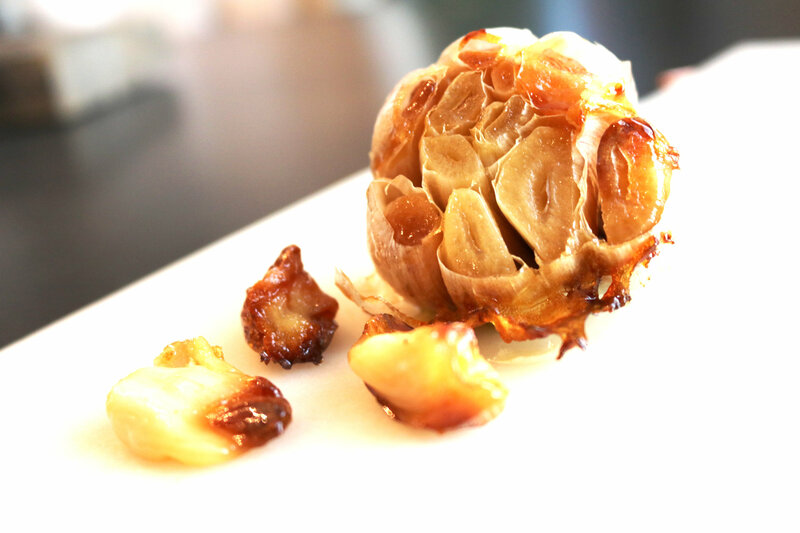 The garlic is a little sweet when roasted. It is not harsh at all. 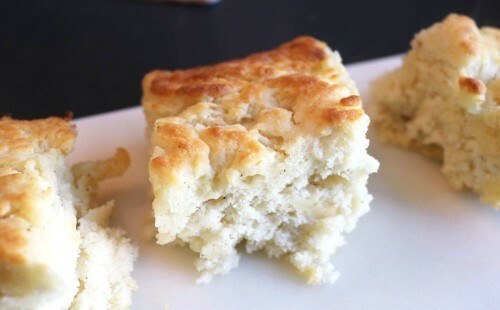 I really do eat it on its own…and The Hubby doesn’t even mind (he loves it too). Ok, I know it seems like a long time to wait for a few cloves of garlic to get nice and roasted, but trust me it is well worth the wait. 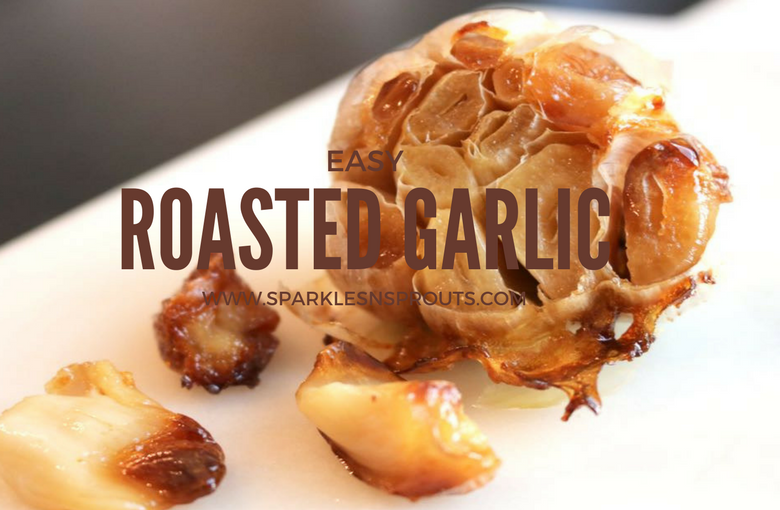 Not only is roasted garlic delicious on it’s own but it is also delicious in mashed potatoes (check back tomorrow for that recipe) or in alfredo sauce (check back soon for that recipe) or in salad dressing. 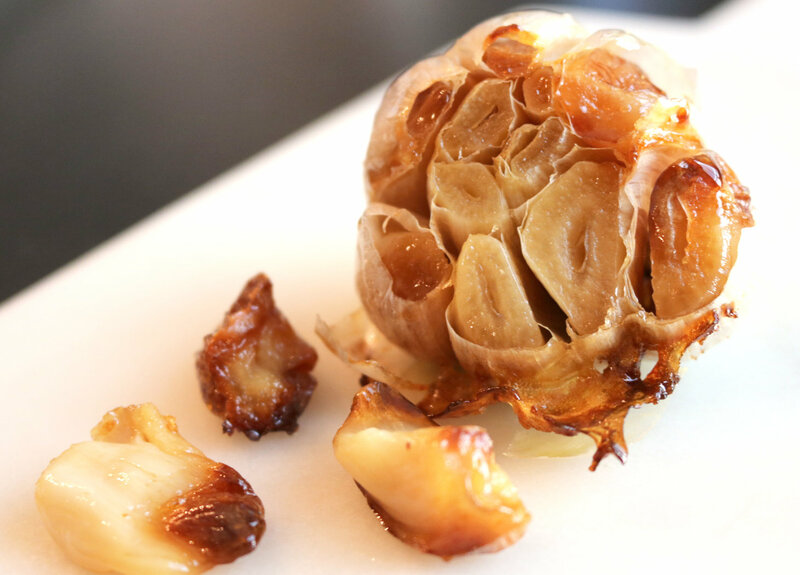 Super easy Roasted Garlic at home in less than a hour. 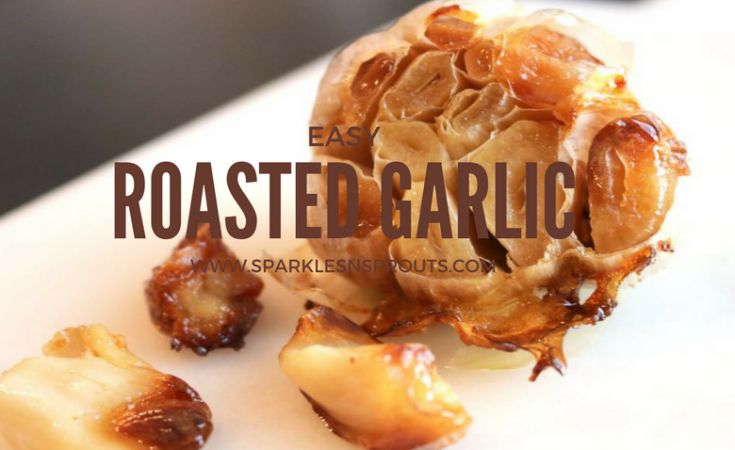 Trust me I keep several heads of roasted garlic on hand at all times to use in and on anything and everything...it is a little sweet with a nice garlic intensity that makes any dish so good. Once garlic has cooled the roasted closes should pull out easily, or you can pinch the clove from the bottom and let it squeeze out, some will be more like paste...like the most yummy paste EVER!! ENJOY in and on everything!! I always roast several bulbs at a time, that way I will have enough cloves for a week or so. Don’t forget I use garlic in almost everything. I love having it on hand. 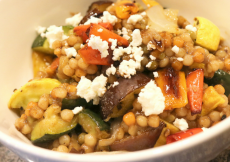 You can store the closes in an airtight container in the refrigerator for up to 2 weeks…it is worth the work.